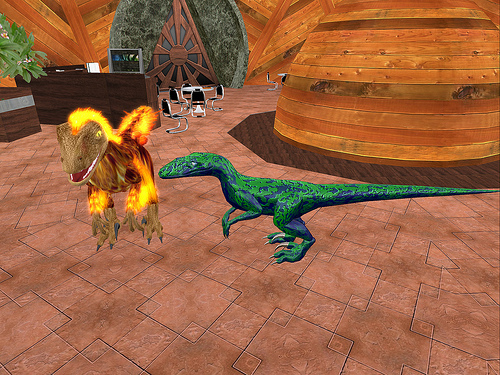 Play free Dinosaurs Park Second Life Online games. Enter an awesome virtual world where you socialise with others through avatars. Enter this world if you are at least 13 years of age (13 to 18 parent consent required). In Second Life, this a real ambitious dinosaurs park sim owned by a group called the Dinosaur's council, started by Nargus Asturias. The park is a lot like Jurassic Park right down to the labs and electric fences but it is not a slavish imitation of Jurassic park. 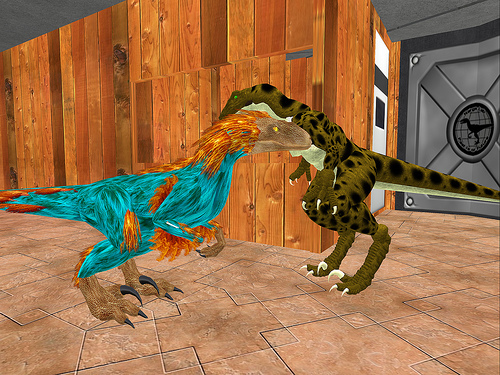 The Raptor Quest I has been added to strengthen the “History” of the park and all that lies within. 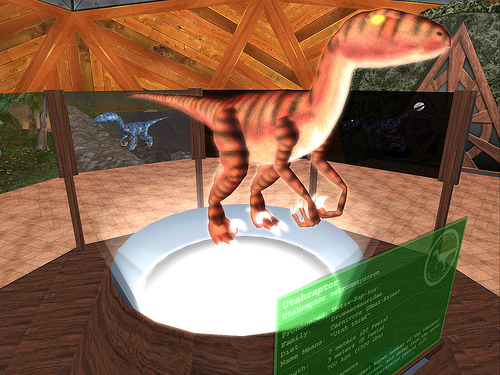 Second Life Dinosaurs Park and Nargus Lab. Inc. is been possible thanks to all customers and friends, requesters and contributors, and fans, just like you. 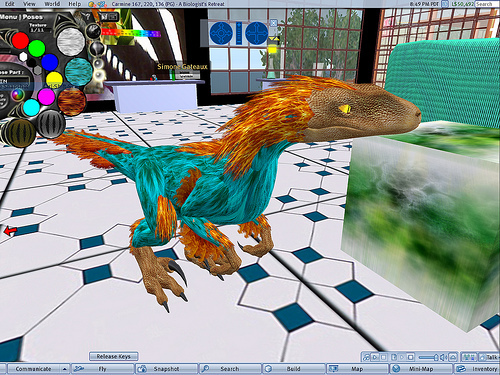 A number of free client programs, or Viewers, enable Second Life users, called Residents, to interact with each other through avatars. Residents can explore the world (known as the grid), meet other residents, socialize, participate in individual and group activities, and create and trade virtual property and services with one another. To get started in Second Life, check out the destination guide where highlights of some of the most fun & noteworthy places to visit. From role-playing, to music, to virtual pets & chat hot spots, there's an experience for everyone.